This property is a 8-minute walk from the beach. 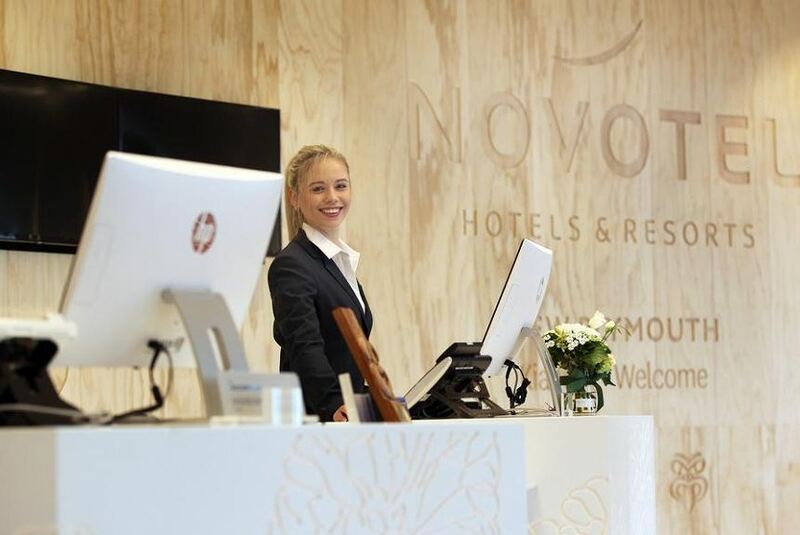 Offering stylish rooms with free WiFi, the 4.5-star Novotel New Plymouth Hobson is conveniently located close to the heart of the CBD. Facilities include an onsite restaurant and bar. Scenic coastal walks can be enjoyed nearby. Accommodation options include spacious rooms and one or two bedroom apartments. All rooms are air-conditioned and offer an en suite bathroom, flat-screen TV with cable channels, a fridge and mini bar, and tea/coffee making facilities. Interconnecting and accessible rooms are available on request. Free parking is provided onsite. Located on the ground floor, Governors Eatery + Bar highlights the best local produce from around the Taranaki region. There is a spacious indoor dining area, and an outdoor area where you can relax with your meal and a glass of New Zealand Wine. Buffet breakfast is also available.